​I am a metal fabricator / welder by trade and my husband and I also share a business, The Metal Shoppe. 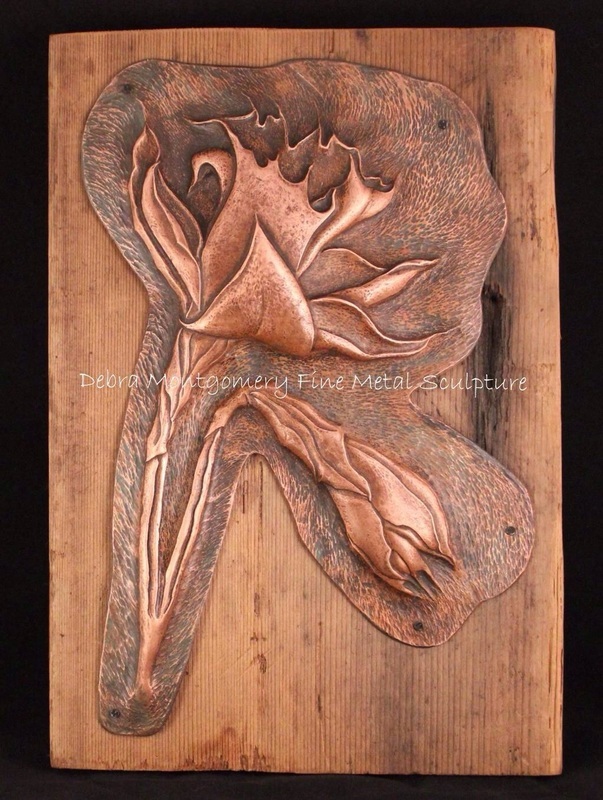 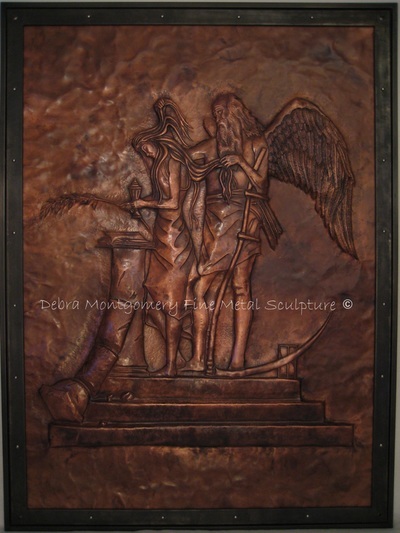 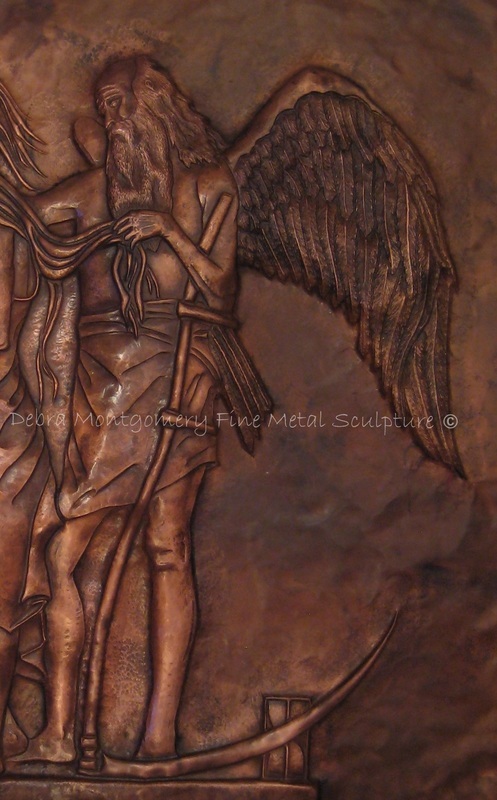 I specialize in high relief copper / metal chasing and repousse as well as other forms of copper art and welded metal sculpture. Repousse and chasing is a form of embossing. 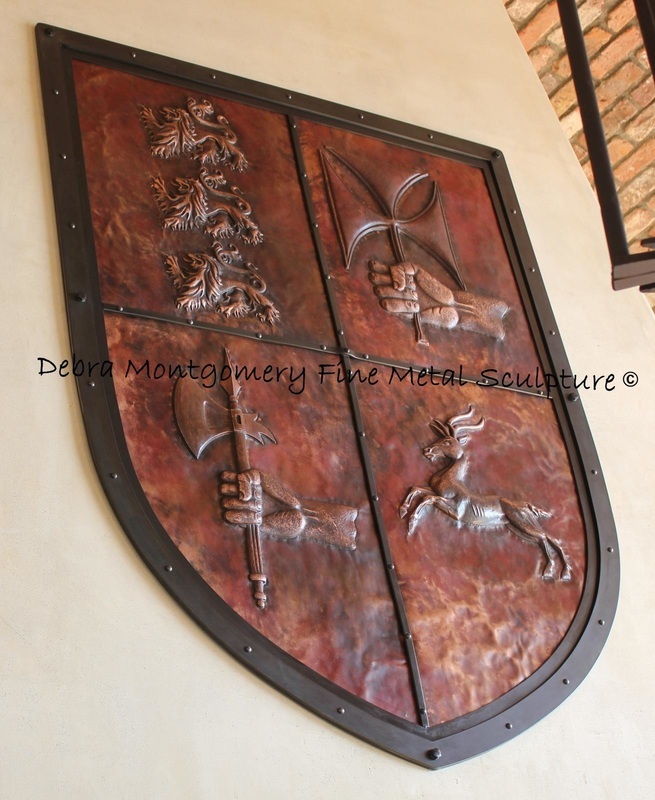 It is a process that is done by working the metal from the back and then the front repetitively until the image is raised or pushed out from what once was a flat piece of metal. 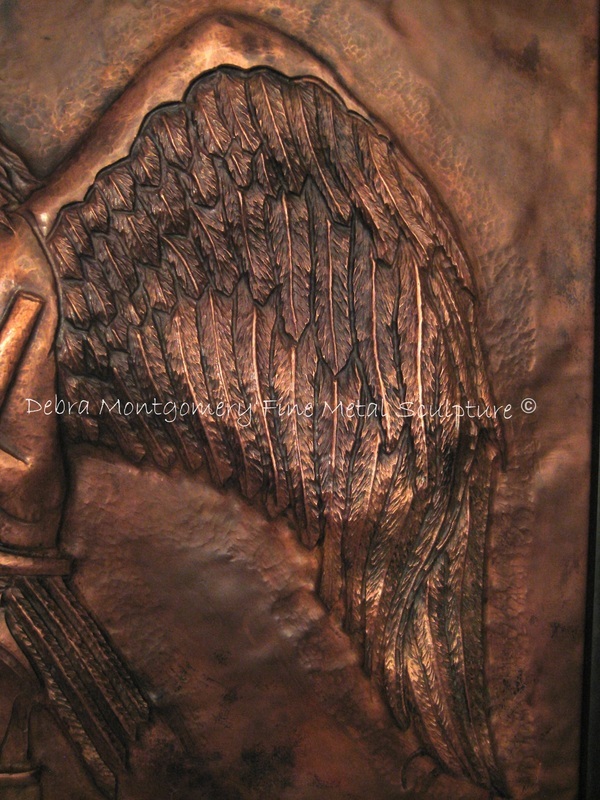 My repousse designs are not mechanically pressed into the copper/metal. 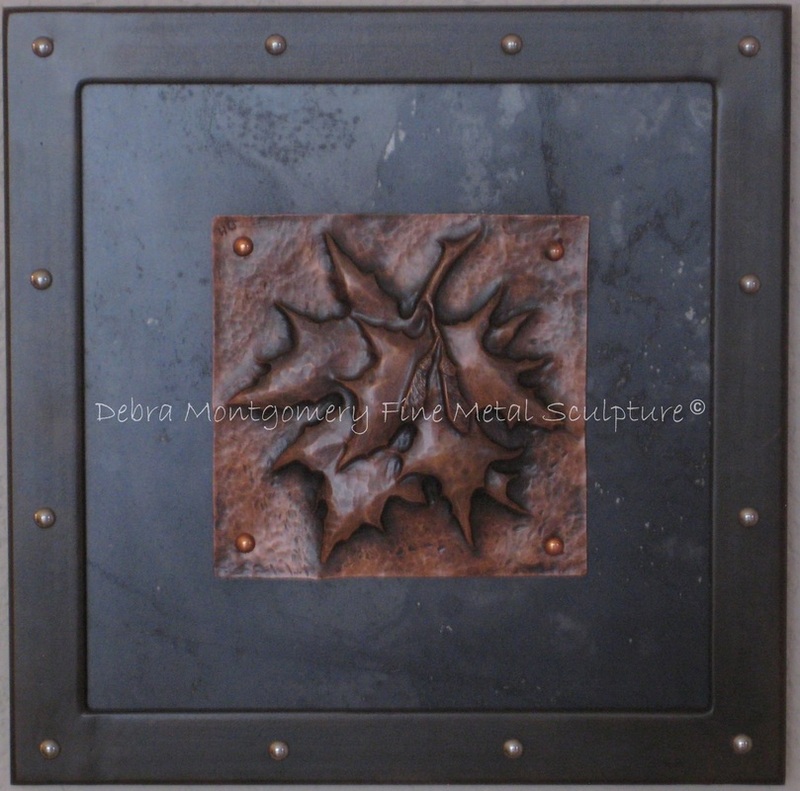 All the work I do is done in the traditional manner with the use of hand tools, hammer and chasers pitch. While this process might be more time consuming, thereby more expensive than a quick production run, mechanically pressed design, you will end up with an authentic hand-crafted piece of art. 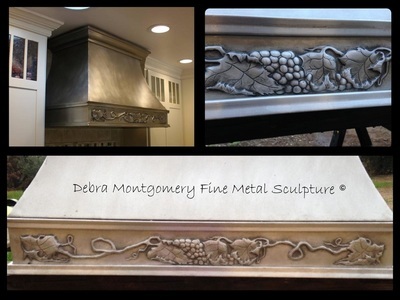 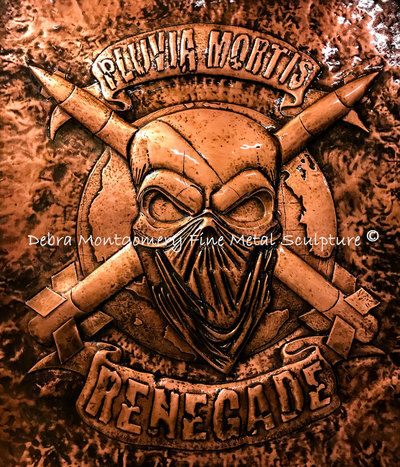 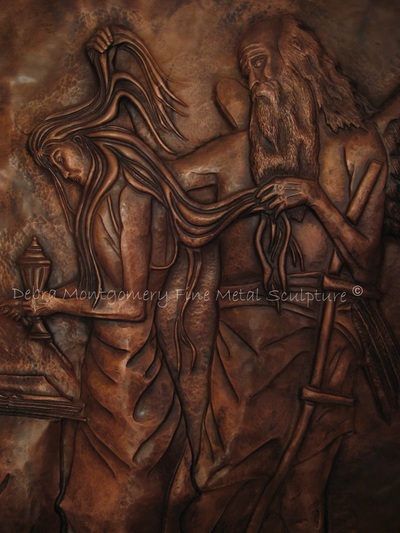 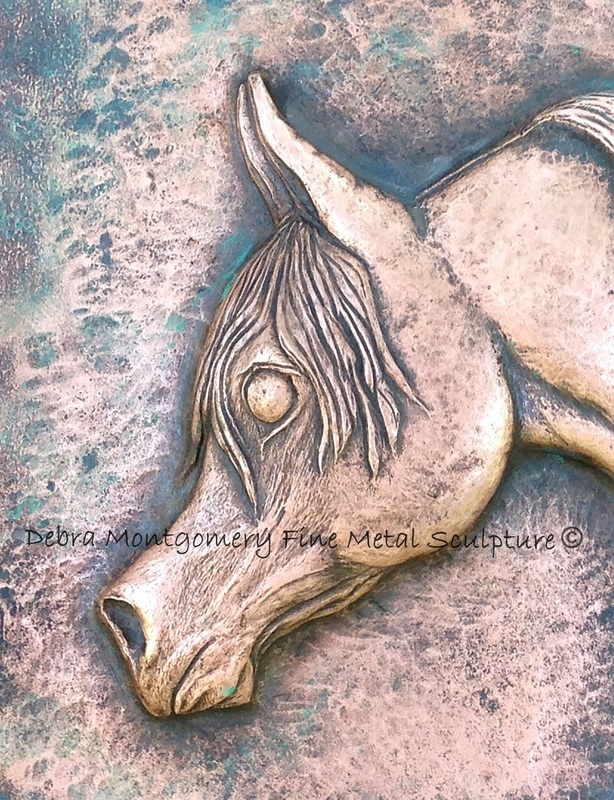 With regard to the high relief chasing and repousse art, utilizing your design ideas or if you turn the job completely over to me, I can incorporate chased or repousse designs into custom art for your home, ranch or place of business, utilizing copper, silicon bronze, steel and pewter. 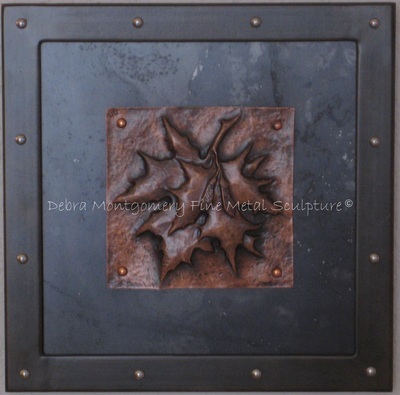 This metal forming technique can be incorporated in the design and fabrication of beautiful decorative door faces, wall hangings, mirrors and the like, framed and free-hanging or permanently mounted to solid surfaces. 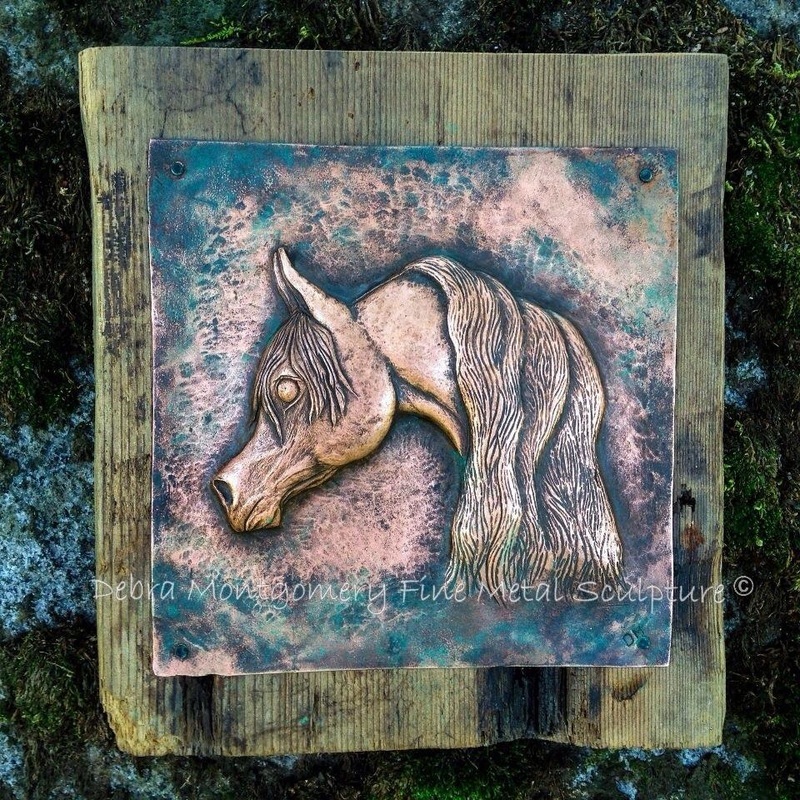 I do not duplicate my copper / metal chasing and repousse designs, in that again, each piece is custom made and is a one-of-a-kind creation - an artistic focal point in your home - complimentary to most any decor or setting! There are many various colors and textures that can be used in my copper and metal chasing and repousse designs - the sky is really the limit!